Famous Footwear, a division of Caleres, launched Famously YOU Rewards today, a new and improved loyalty program that builds on its more than 20-year history of rewarding customer loyalty and delivering valuable savings when shopping for shoes. The new rewards program is more personal and relevant to today’s customer by rewarding customers where and how they shop with Famous Footwear. The new program branding features a fresh, engaging look that’s designed to be more personal, current and relevant—with a focus on the customer, in name, copy and design. 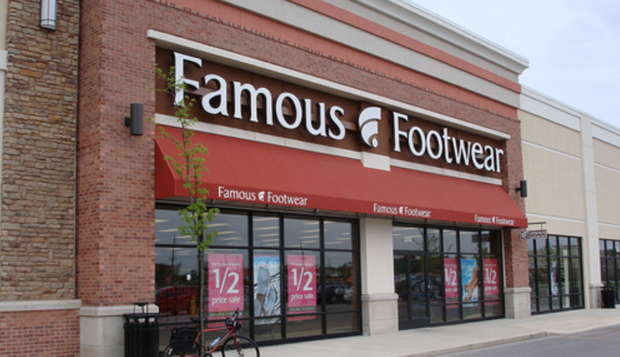 The program remains free to join and all previously enrolled members in Famous Footwear Rewards have been automatically transitioned into Famously YOU Rewards. Members maintain all previously earned tier-level benefits and Reward earning opportunities. The program was built on insights from extensive customer research to focus on what customers want most in their loyalty program. The first new benefit—free shipping for online orders, every day for all members, with no minimum—was pre-released in mid-February. The free shipping benefit encourages the program’s more than 11 million active members to shop across channels and attracts new customers in a competitive online shopping environment. To further reward cross-channel purchase and accelerate Reward earning, the new program awards members bonus points when they purchase online or engage in the app. Future program enhancements will continue to put the customer first, providing him or her even more flexibility and value across channels. Members-only promotions and additional benefits will be launched throughout the year to surprise members.